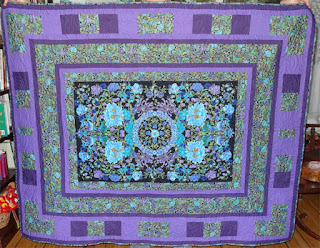 I Quilt, Therefore I Am: Quilts 71, 72, 73: Mystic Purple Garden - DONE! 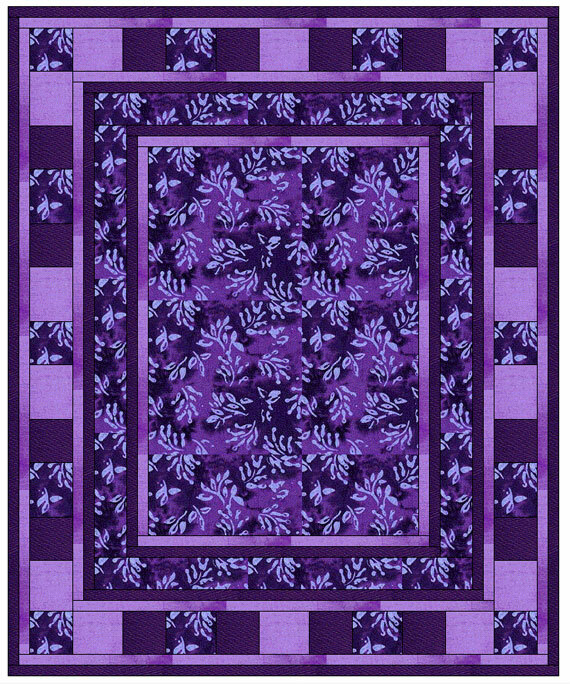 Quilts 71, 72, 73: Mystic Purple Garden - DONE! 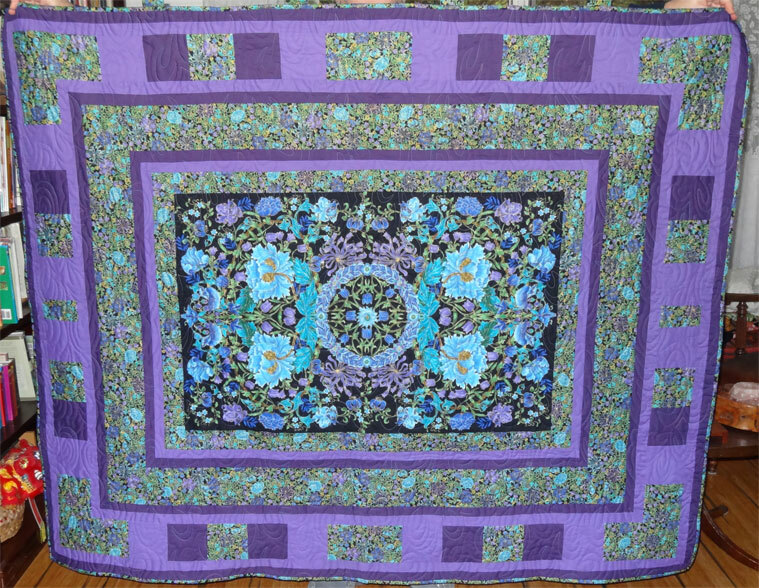 A while back, when I was still working on Quilt 67, some friends got a look at it. They just went wild for it, 3 of them wanting me to make more of these so they could each have one. How could I say "no"? 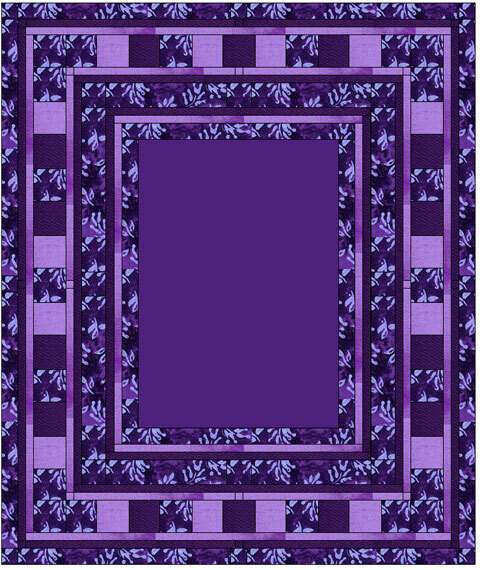 Original Design - 51 x 62"
And "tweeked" it a bit. 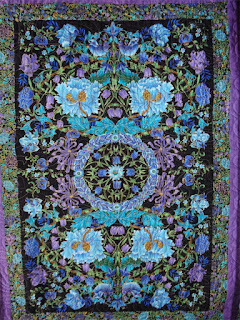 In the design above, the center rectangle is the floral panel. 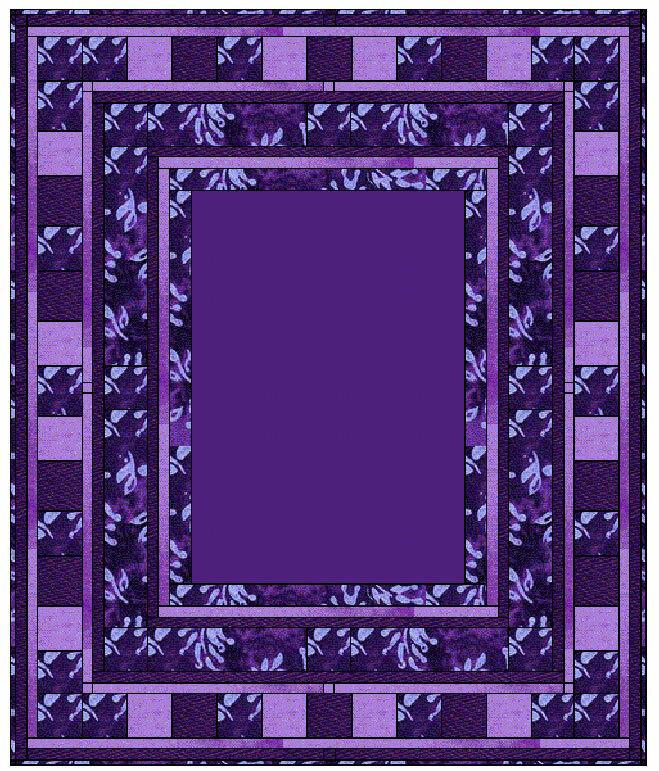 In addition to the 2 shades of purple (solid) which frame it, I included a complimentary print which echo's the colours and themes of the central panel. Naturally, when I went to buy more of the solid purples, the store I usually shop at didn't have any more of the exact same shade - but they did have a couple of purples which look just as terrific, so I was in business! 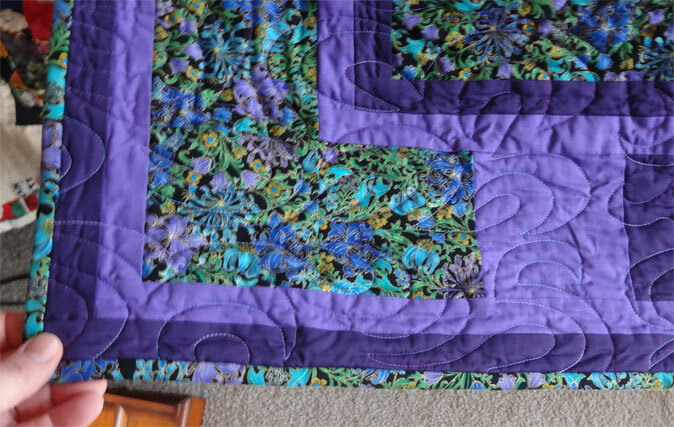 When I did quilt 67, I wasn't sure if I had enough of the coordinating print (shown on the edge of the panel above) to bind the quilt with it. 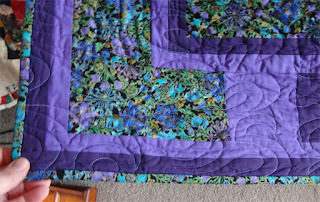 But I ordered lots more and so had enough to use it for these three quilts. 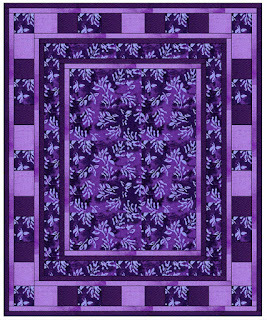 100% cotton batting, quilted on the longarm with "Blustery Breeze" groovy boards. 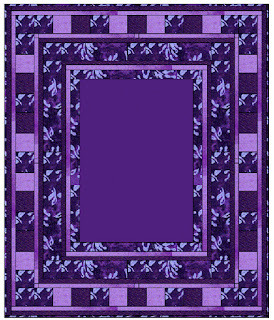 The backing is solid light purple homespun. So I've made 4 of these so far. You'd think I'd be tired of making them, but I'm not. I ordered more of the fabric so that I've got enough to make a few more, and fully expect that someone else will want one. 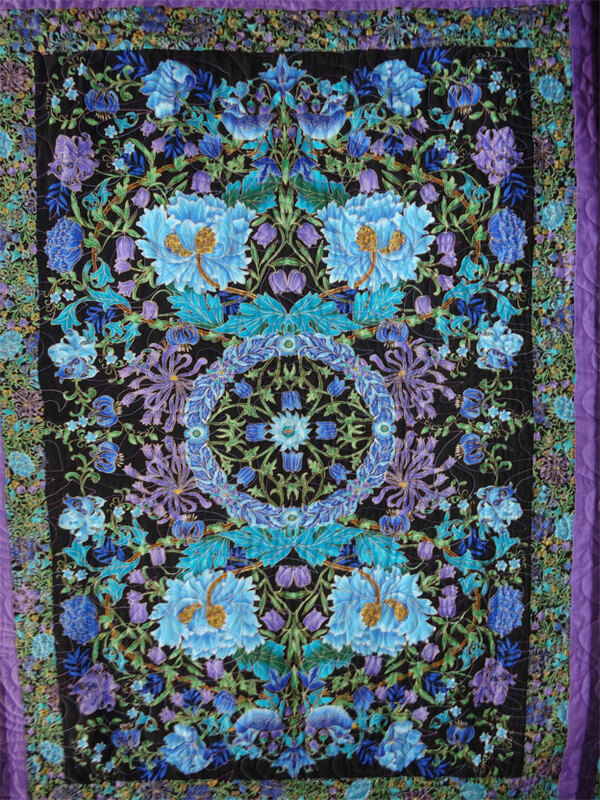 Quilt 70: Lecien Floral Collection - DONE!